Check out some of these newly catalogued books on films and TV Series. They include the fascinating studies of popular TV series such as The Wire, and The Women Who Lived which tells stories about women in Doctor Who. Also, don’t miss the colourful book about the Wes Anderson’s latest work Isle of Dogs. Isle of dogs / by Lauren Wilford and Ryan Stevenson ; foreword by Matt Zoller Seitz ; with an introduction by Taylor Ramos and Tony Zhou. Will & Grace & Jack & Karen : life — according to tv’s awesome foursome / Emma Lewis ; illustrations by Chantel de Sousa. The women who lived : amazing tales for future Time Lords / Christel Dee & Simon Guerrier. Frasier : a cultural history / Joseph J. Darowski, Kate Darowski. Acting & auditioning for the 21st century : tips, trends, and techniques for film, stage, digital and new media / Stephanie Barton-Farcas. 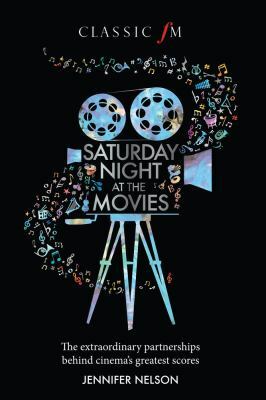 Saturday night at the movies : the extraordinary partnerships behind cinema’s greatest scores / Jennifer Nelson.